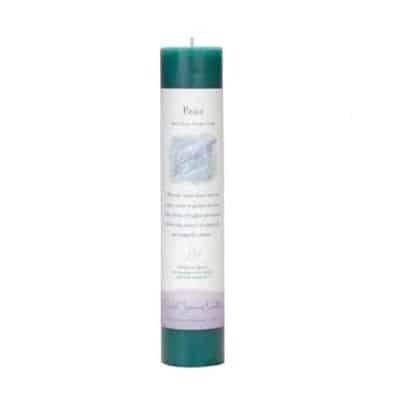 ~ First and foremost, this candle is for protection! It is the culmination of layers and layers of authentic dragon’s blood root and resins. Dragon’s Blood (Dracaena, Daemonorops) is a bright red resin that is obtained from different species of a number of distinct plants and palms. 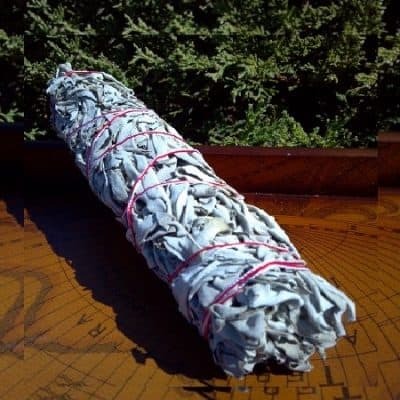 It is often used for positive intention, purification protection and strength. 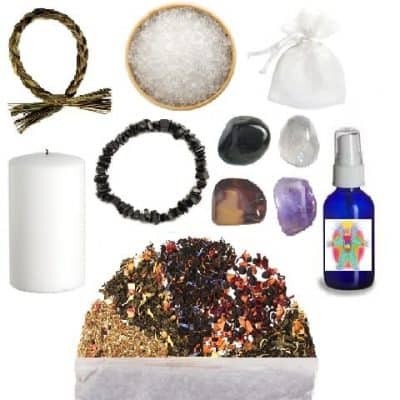 ~ This fiery and powerful black candle is also richly scented with my own Angel’s Mist Essential Oils of Canadian Cedarwood, Sacred Myrrh, Deep Patchouli and burnt red saffron flowers. 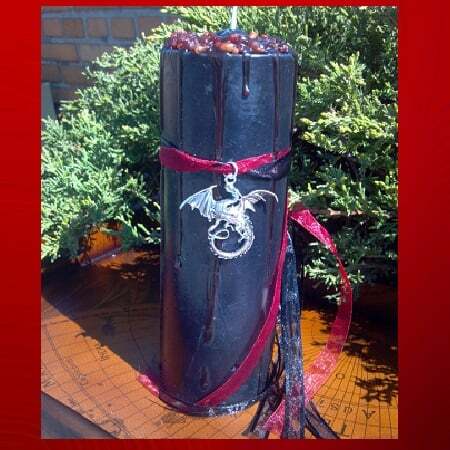 The candle is dressed in crimson red and pitch black organza ribbon, accented with a huge 2″ Tibetan silver winged dragon! This makes a fantastic necklace/pendant when hung on a black cord or silver chain! ~ Each of my hand dipped, hand embellished herbal candles has been designed with a specific intention using my own Angel’s Mist Essential Oils. I utilize premium naturally colored wax and pure cotton wicks. ~ Measuring 3″ x 6 inches tall, they are long lasting with a burn time of 85-120 hours. 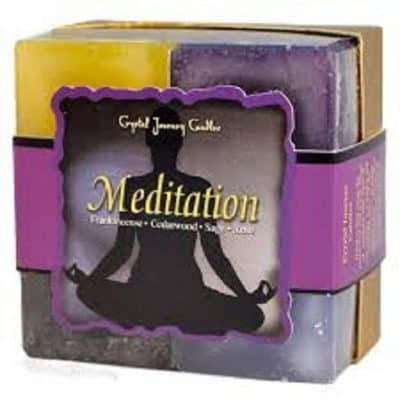 Each candle is decorated with brilliant ribbons, fragrant herbs, flowers and jewelry! ~ In Lewis Carroll’s masterpiece, “Through the Looking Glass”, the Jabberwock is a character from the novel and appears within the poem “Jabberwocky” that Alice reads during the first chapter.